In what has to be one of the more ambitious edits in Hollywood history, Ridley Scott’s upcoming Oscar bait All the Money in the World—a finished product due to release in about six weeks—is heading back to production, reshooting all of Kevin Spacey’s scenes with a recast Christopher Plummer. 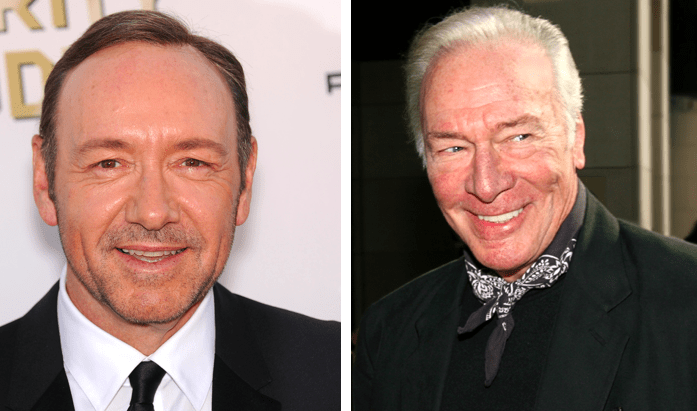 Scott and the rest of the All the Money in the World cast (including Mark Wahlberg and Michelle Williams) chose to exorcise Spacey from the role following numerous allegations of sexual misconduct. But then Scott took the fairly unprecedented move of keeping the movie’s Dec. 22 release date and reshooting all the scenes with Plummer, an actor Scott reportedly wanted more than Spacey in the first place. Plummer has had a terrific string of late with movies like Beginners and The Girl With the Dragon Tattoo, but he will, of course, always be best known as Baron von Trapp in The Sound of Music. He remains scandal free, for the moment. The movie follows the true story of Gail Harris (Williams), whose son was kidnapped and held for ransom. Harris’ father was the famous J. Paul Getty (Spacey/Plummer), the wealthiest man in the world at the time, and he refused to pay the ransom. Here’s the trailer, in which you can mentally swap Spacey’s scenes for Plummer.